The global solar street lighting market is gaining remarkably from the overwhelming support of various governments across the world, trying hard to conserve energy and reduce carbon footprints. The continual rise in the energy cost and the augmenting demand for electricity, worldwide, has prompted a number of governments to involve with international as well as regional non-governmental organizations (NGOs) for launching several programs and schemes, such as subsidies for the deploying solar lighting systems, in a bid to curb the shrinking of non-renewable energy resources. Vendors are encouraged to provide efficient solar lighting solutions, especially in emerging economies, such as India, where the government has recently launched an initiative to replace 35 mn streetlights and nearly 800 mn incandescent bulbs with energy-efficient LED bulbs. Although solar lighting is being easily accepted across the world, developing economies in Asia and Africa will enjoy the main benefits of this technology. 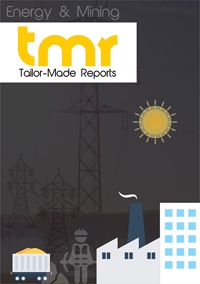 The governments in these nations are focusing primarily on the development of infrastructure, which has made providing centralized grid electricity financially challenging for them as it requires high capital, extensive workforce, and time to develop an entire transmission and distribution infrastructure. This, as a result, has compelled these countries to prefer solar lighting. The continual deployment of solar streetlights in these countries is likely to propel the overall solar street lighting market in the near future. The primary energy source of outdoor street lighting units is solar power and a lot of them are made to operate in a standalone mode, therefore making them independent of the general power grid. However, their dependency on sunlight requires the lighting units to be installed in a location that can receive ample sunlight at key parts of the day. The solar PV street lighting system comprises a rechargeable lead acid battery, PV modules for charging the battery, a compact fluorescent lamp (CFL) as a light source, an electronics system for the operation of the lamp, and a discharging mount and mechanical hardware for fixing the system. Common SPV modules are expected to have a service life of 15 to 20 years. One of the key drivers augmenting the global solar street lighting market is the high priority that many nations are giving to looking for alternatives that are efficient and provide off-grid power solutions. This gives way to certain drivers that boost the solar street lighting market. A crucial foundation that the global solar street lighting market is currently based on is the fact that they provide a feasible solution to conventional street lighting across a wide array of terrains, provided there is sufficient sunlight, and irrespective of grid connectivity. Solar street lightings can also reduce the overall energy load on a grid, consequently saving money over energy consumption. Solar street lights also come with the advantage of bearing low or even negligible maintenance costs, low wiring efforts and no transformer costs for off-grid lights. However, the global solar street lighting market still facing the problem of trying to promote a new technology in a market filled with strong conventional rivals. Customers and company stakeholders are still treading with caution owing to a low level of awareness regarding the overall benefits of supporting a relatively costlier technology. Additionally, regionally speaking, solar street lightings cannot be implemented in all locations due to the varied quantity of sunlight that each region receives, even without taking into consideration unpredictable weather conditions. The global solar street lighting market can be segmented on the basis of the types of lighting technology, their applications, and the type of lighting based on the location of the PV panels. The two key applications in the global solar street lighting market are solar traffic lights and county level street lights. Under common types of lighting offered by the global solar street lighting market include compact fluorescent lamps (CFLs) and light emitting diodes (LEDs). Depending on the magnitude and duration of lighting required, photovoltaic panels can either be situated as individual units directly on the lighting panels, or in a centrally located cluster, if the area of operation is large. Based on region, the global solar street lighting market can be segmented into North America, Europe, Asia Pacific, Latin America, and The Middle East and Africa. The implementation of SSL systems can be found in Asia Pacific, specifically in China and India. Asia Pacific takes up a massive chunk of the demand volume in the global solar street lighting market currently, and is likely to continue doing so over the coming years. Meanwhile, North America and Europe are expected to continue being primary markets for solar street lighting owing to a higher rate of acceptance, a growing need to conserve power, and holding the headquarters of some of the leading players in the market. A few of the leaders of the global solar street lighting market so far, have included Solar Street Lights USA, OkSolar.com, Solar Lighting International Inc., Solar Electric Power Co., and Silicon Solar.